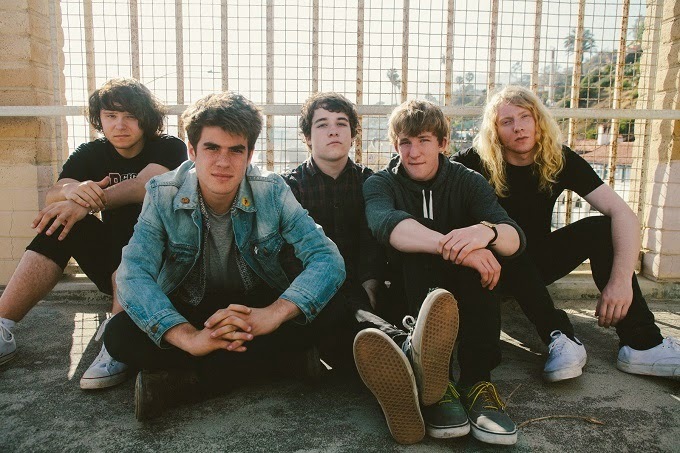 This weeks song of the week is "Dirty Sheets" from an american band called "The Orwells". The Orwells are an Band from Elmhurst, Illinoise. Formed in 2009 when they still were in highschool. The members include Mario (Vocals) and Dominic Corso (guitar) who are cousins, Matt O'Keefe (Guitar) and Grant (Bass) and Henry Brinner (Drums) who are twin brothers. The band was discovered in late 2011 by blogger Justin Gage, who signed them to his Autumn Tone label imprint and released their debut album "Remember When" on 7 August 2012 through Autumn Tone Records. Besides that, they also released two EPs. Their first one entitled "Other Voices" on National Anthem Records and the second one "Who Needs You" through National Anthem. They already performed at Lollapalooza and supperted the Arctic Monkeys on nine American concerts. They are currently working on releasing their second album which is sheduled for 10 September 2013. One of their most legendary performances was the one at Late Show with David Letterman and trust me it's worth googling it should you like crazy bands. The music video shows a young woman barely dressed dancing to The Orwells. The striptease themed club was directed by Eddie O'Keefe. He is the brother to guitarist Matt O'Keefe and a regular collaborator to the band. I discovered the band a couple of months ago and just can't stop listening them. Their song "Dirty Sheets" is just constantly stuck in my head. It's quite surprising how young they are. When I heard them first I thought about band mates in their 30s. By the way they just released a new song on Soundcloud called "Southern Comfort". Definitely worth checking it out! nice blog do you have.